Barnett Tool & Engineering has been manufacturing some of the best products for motorcycles since 1948. We are happy to be working with a great company that keeps innovating products to make our rides better in several ways including performance. Low profile lock-up billet pressure plate. Specifically designed to fit under the stock primary/derby cover. 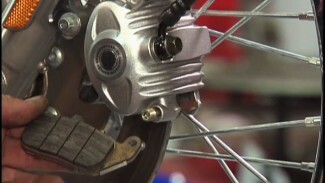 Increases the capacity of the stock clutch while keeping lever effort to a minimum. Six coil springs replace the stock diaphragm spring for a smoother, more progressive clutch engagement. Ideal for stock to big inch motors! Bolt-on installation with no modifications required. Includes billet lock-up pressure plate, three sets of six coil springs (light, medium and heavy). Also included is a spacer for 1998-06 models or if needed to fit with an aftermarket primary cover. More here. The extra plate clutch kit includes and extra friction and steel plate for added capacity. A very popular choice of riders alone or even better when matched with one of their spring conversion kits (They also have a non-lock up spring conversion kit as well). Search your year and model. This Barnett Scorpion Series clear derby cover features a quarter inch thick, clear polycarbonate window to your clutch! The scratch and discoloration resistant window is firmly secured and sealed with an o-ring gasket. The outer cover area is CNC machined from billet aluminum and then given a brilliant Chrome finish. The derby cover gasket is also included. For the ultimate in looks AND performance, install a Barnett lock-up clutch with your new cover!